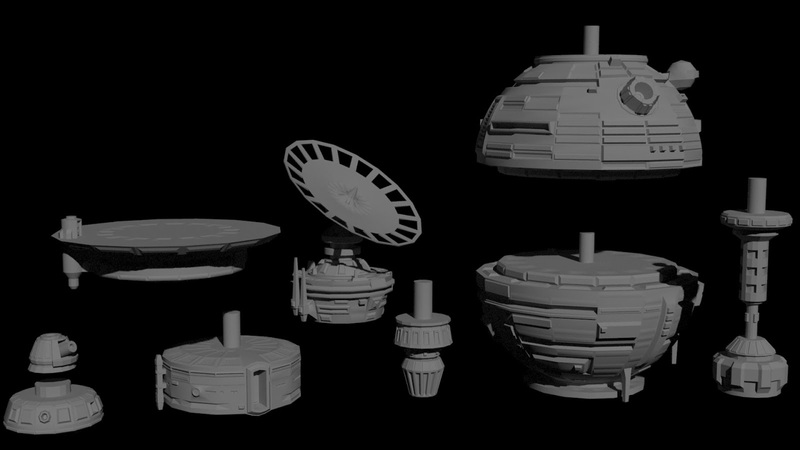 With all the extra space ships etc landing in my X-Wing collection and how great the asteroids look, I thought that modelling up a custom space station would be a cool next step. The idea was a modular station that could be assembled in a variety of ways to make it more interesting but also to perhaps better match various scenarios. 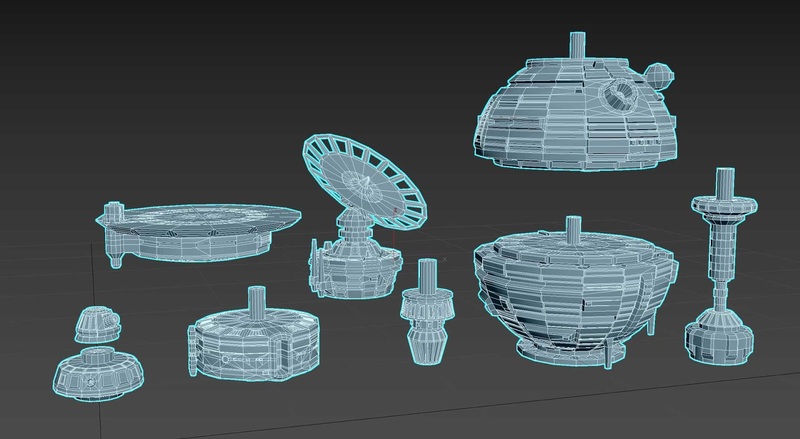 So I did a bunch of sketches while binging on Netflix then dived onto 3dsMax to start modelling them up. The goal is to 3D print the pieces, so that probably means the geometry need not be superb, but it is good practice. 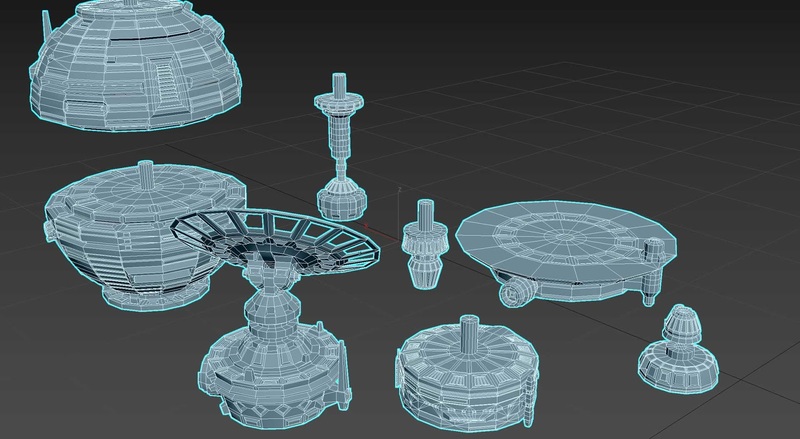 I am not sure how much detail I will be able to get with cheap 3D printing, but I wanted a decent amount of starwarsie looking detail on them without going too crazy. Since we are 3D printing we arent looking at smoothing and to keep things fast I opted not to go super high poly.